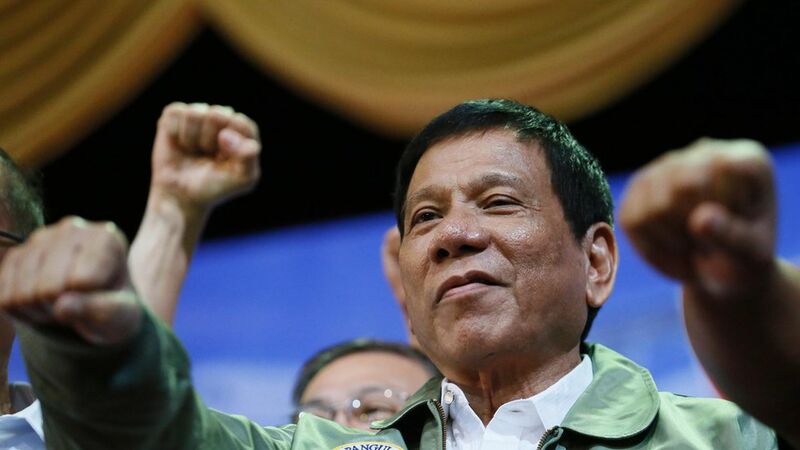 Trump is getting heat for inviting Philippine President Rodrigo Duterte, who says he doesn't give a sh*t" about human rights, to the White House. Duterte was publicly condemned by the Obama White House for allowing police and vigilantes to gun down thousands of people suspected of trafficking or using drugs. White House defense: During an interview with ABC's "This Week", Trump's Chief of Staff Reince Priebus insisted the outreach "doesn't mean that human rights don't matter, but ... the issues facing us developing out of North Korea are so serious that we need cooperation at some level with as many partners in the area..."
Flashback: During a state visit to Beijing in October, Duterte announced a "separation" from the U.S., threatening to "go to Russia to talk to Putin and tell him that there are three of us against the world: China, Philippines, and Russia."